Confessions of a Chilihead: In honour of International Women's Day, March 8, 2013. In honour of International Women's Day, March 8, 2013. I'm blessed. Being born in Canada, I am recognized as equal to men in the Charter of Rights and Freedoms. I have legal recourse in the event that someone trods on my rights. Today is International Women's Day. Last year, women in the Middle East had their privileges whittled away by the Muslim Brotherhood, Indian women and girls continue to be tortured and raped without legal protection, and American women continue to go unmentioned and unprotected in their constitution. I find it surprising that many American gun enthusiasts, including women are threatening to hold a major revolution over their right to own a tool of killing, yet those women are still not equal in the eyes of the law. That this fact doesn't seem to scathe them, befuddles me. Contrary to popular belief the Women's Rights' amendment long fought, continues to not yet be a reality. That is sad, at best. Although, in 1977, the UN adopted a resolution proclaiming today the day to be observed for Women's Rights and International Peace; said date which had already been being celebrated by American women for the two previous years. By now, there should be change? This year's Women's Day theme is "A promise is a promise: Time for action to end violence against women." It seems unfortunate to me that in 2013, UN Women, CEDAW, Amnesty International and other rights groups continue to strive to have equality and protections for all women. It's not easy watching the way that women get treated in this world on a day to day basis. It is different, if you're a man, I suppose. Little girls get shot in the face for daring to go to school, women are raped, daily, while citizens turn a blind eye or worse male passersby will jump in and participate in public gang-bangs. Women's rights are erased from existence with the twist of a pen in Egypt. It is bittersweet that yet I enjoy a freedom that other women can only dream about all at a time when "one woman" is celebrated as being the face of true freedom and equality... just it's not for women's equality, it's for someone else; albeit a very important "someone else". Because we live in North America, we are living in a world that lies to women on a daily basis. YOU ARE EQUAL, they tell us. Women have rights too. Well, here in Canada that is certainly true, but my US friends have no such guarantees. Even though Susan B. Anthony fought so hard as she did, and even though NOW, the National Organization for Women continues to put the women's rights amendement on every ballot until the bill is passed and ratified into law! Yet, 75% of Americans believe that the law was passed. I found it interesting that President Obama ran on a women's rights platform that has been virtually unheard of since taking office. Just this last month, he honoured a woman who has changed America and the World by refusing to go to the back of the bus. She didn't stand up and do what she did because she was a woman, she did it because she was black and there was no justifiable reason for her to be a second class citizen as a person of colour, yet, sadly, were she alive today, Rosa Parks who could sit on the bus, would still not be protected by her own nation as a woman. Perhaps it means not much, being the privileged woman I am, living here in the Great White North. Seriously, though; what does it mean to ME to be equal in the eyes of the law? Well, it means that I am respected by the males of my nation as a human being, and THIS, whether THEY like it or not. Over 600 million women live in countries where domestic violence is not a crime. Nearly 70% of the world's women have experienced violence against them both physical and sexual and over 60 million girls worldwide are forced into marriage before the age of 18. Worse, fully half of all the sexual assaults the world over happen to girls under the age of 16! My daughter and step-daughter are adults now, but still, were they to leave Canada to go to certain nations, they'd instantly become second class citizens. Scary that one of those nations is the United States. This isn't the kind of world where I thought I was being raised. It hurts to think that women have no legal recourse for even so much as asking to be treated as a human being! And this fully 30 years after women were written into the Canadian Constitution. This year, lets find a way. Let's work together to bring an end to violence against women, and lets wake the world up start by getting women's rights ratified into law EVERYWHERE. Enough is enough. 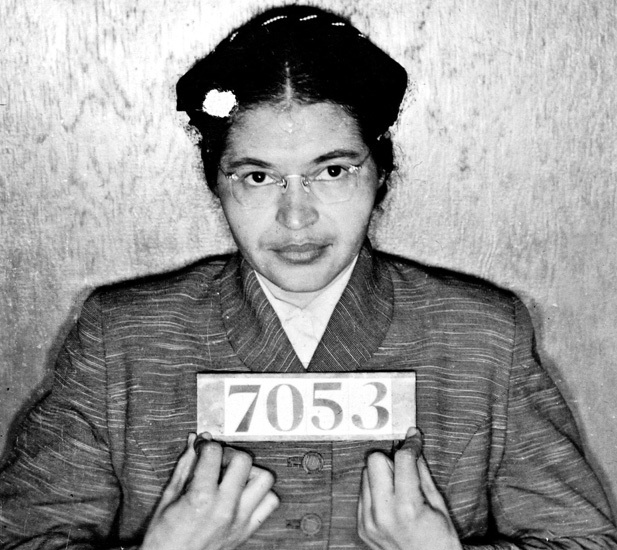 Rosa Parks is one woman who stood up for equality. She is regularly heralded for her work in furthering the rights of all men, yet she was also a strong supporter of the women's rights movement and she lived in a nation where one woman CAN be heralded as having changed the world; but who is still not equal in the law of the land. I think it's time to change that. In 1848, Elizabeth Cady Stanton along with Lucretia Mott, penned the now famous Declaration of Sentiments. Would that one day, all North American women can enjoy equality. Their words marked a cornerstone that has come to be known as the women's suffragist movement and was instrumental in women in many countries, including Canada, being given the right to vote in the early 1900s. There is a statue of the valiant five I had the honour of seeing while in Calgary in 2012. Henrietta Muir Edwards (1849-1931) Founding member of the Victorian Order of Nurses. Canadian women owe their equality to these five. I look forward one day to celebrating the similar equality of all women. They were five women in one nation who succeeded. This is one world, we are one people; we are one woman and together, we can make equality a reality. Never before in the history of this planet has anybody made the progress that African-Americans have made in a 30-year period, in spite of many black folks and white folks lying to one another.